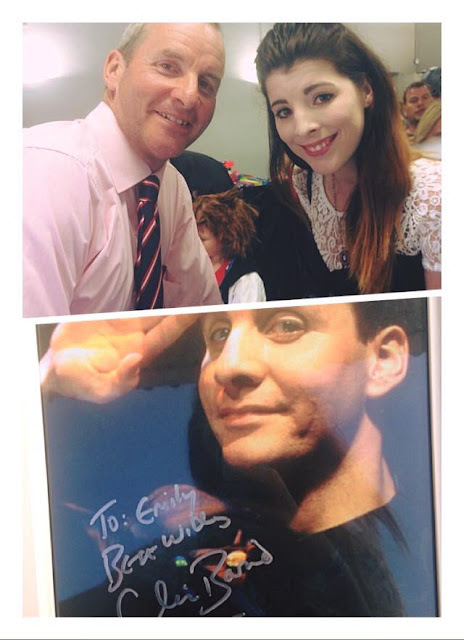 A Quirky Kook: I Met Chris Barrie! I am not a person who frequents Comic Cons as a rule and, if it wasn't for Daughter,1 geek extraordinaire, I wouldn't even know what a Comic Con was to be honest. It is, if you are unsure, a convention where like-minded people gather together to explore their own peculiar fascinations in all that is, well, unconventional. There is much dressing up, geekery and nerdishness and even more science fiction, fantasy, super, and not so super, heroes. 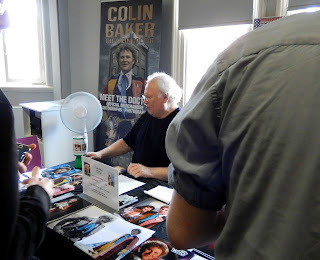 I wouldn't, usually, be seen dead at a real-live comic con, but Wakefield's first ever such event held the tantalising possibility of mingling with one of my own heroes, the extraordinarily talented actor and impressionist Chris Barrie. Chris Barrie was one of the impressionists in the early (and infinitely funnier) Spitting Image series, he was Gordon Brittas in The Brittas Empire (rumoured to be returning to our TV screens soon), and Angelina Jolie's butler in the Tomb Raider film series. He was also in a Little Mix video. But he is probably better known and universally both adored and reviled as Arnold Judas Rimmer BSc, SSc. Second technician on board the sci fi comedy show Red Dwarf. I love Red Dwarf. I have watched (and continually re-watched) each and every series since it first hit the screen in 1988. I can repeat verbatim entire episodes. And I am not even ashamed about it. So there. 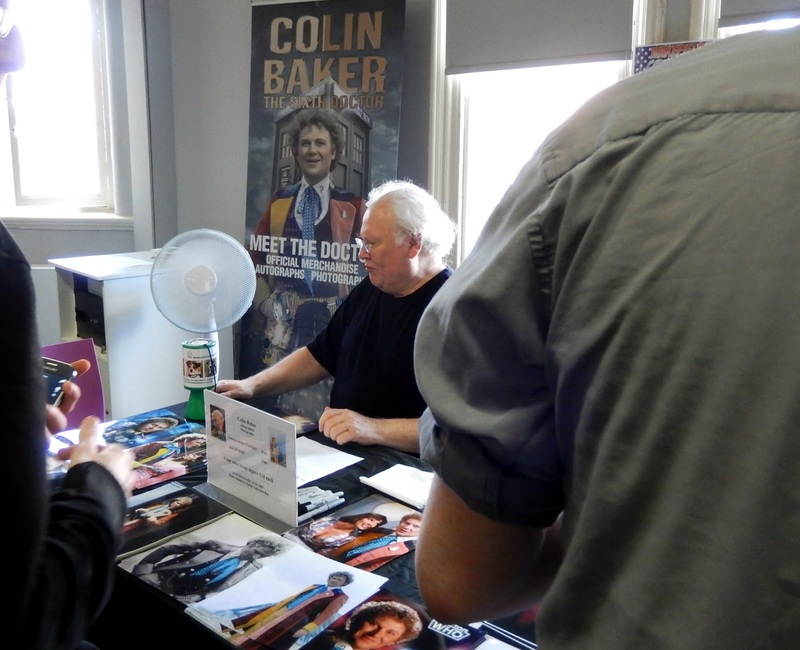 Obviously we went to Wakefield Comic Con where we queued for over an hour in blistering heat just to get into the building. 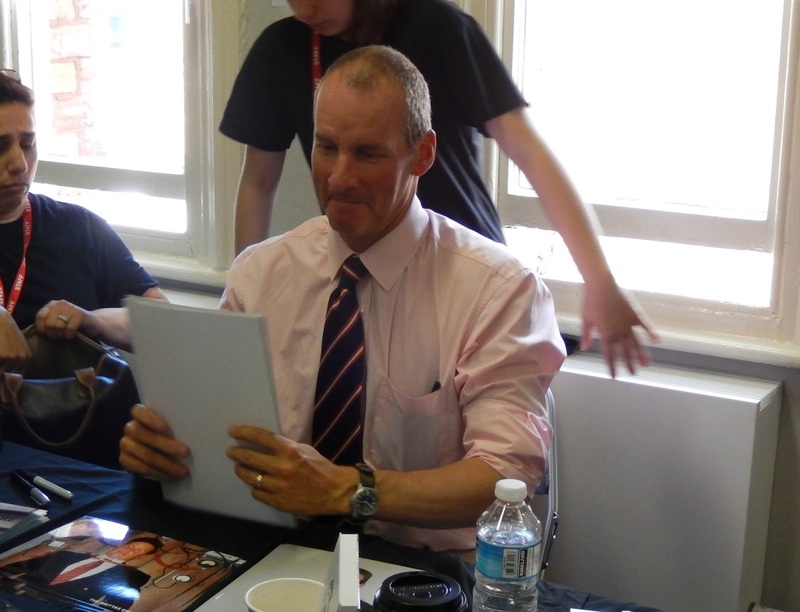 That is how much I wanted to meet Chris Barrie. When we gained admittance, we hared it to the top floor and the signing room where, horrors of horrors, there was no Chris Barrie. And neither was there sign of the other Red Dwarf guests, Robert Llewellyn (Kryten) or Hattie Hayridge (Holly the ship's computer), they all having escaped the sweltering signing room for a reviving cup of tea. There was a Dr Who in the corner but it wasn't my Doctor and if I am to meet one of them in the flesh, I'd like it to be the right one, just in case I never meet another. Sadly David Tennant is yet to take up his open invitation to a wine and cheese evening for two. So we just waited around for a bit. And then for a bit longer. And a little bit more. Until finally, fully refreshed, the Red Dwarf trio emerged from where they had been enjoying their break. Kryten, walking past me, said Hello and I squeaked something inarticulate back at him. Then I squealed a bit. 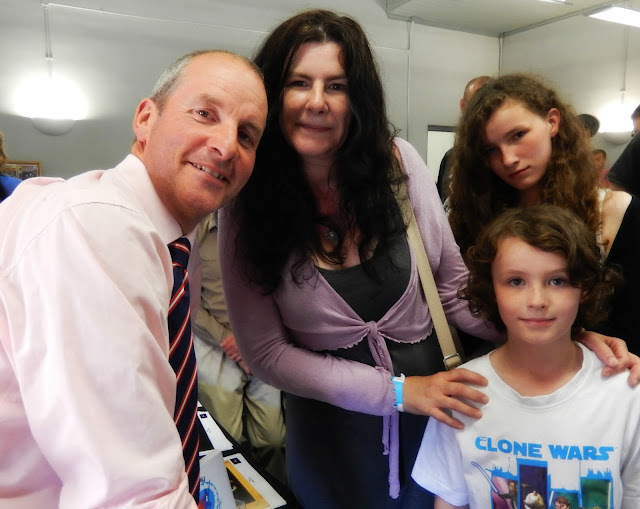 We waited to speak to Chris Barrie and finally, eventually, we stood in front of his table. I promptly burbled a bit, squeaked some more, flustered, flapped and babbled. A lot. P.S. The entirely un-Rimmer-like Chris Barrie shuffling and squaring up his photos in an entirely Rimmer-like way. He even tapped them on the desk. Hurrah!